With their second tournament behind them the girls from the 13U Heat team are enjoying the rewards of great practices and strong team work. 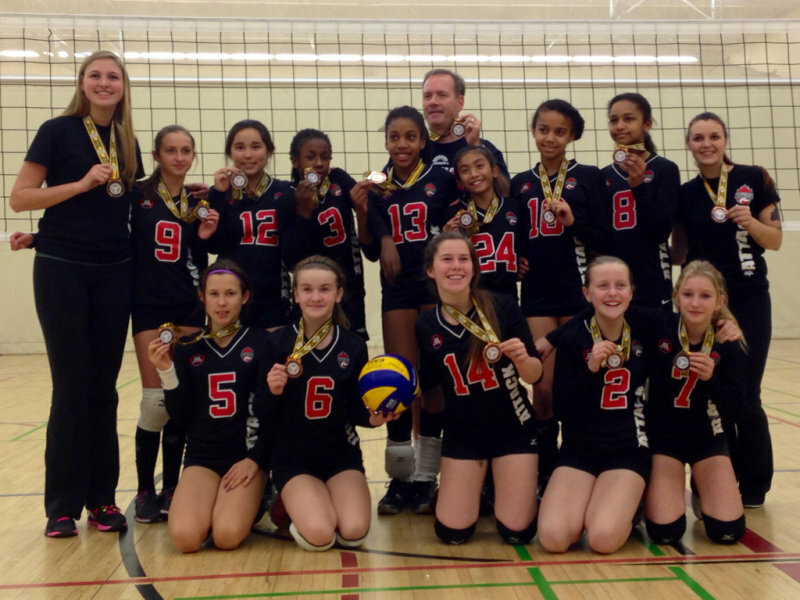 This past weekend they played ten fantastic games – winning a straight six games in a row, before losing two games to the Titan White team, the girls went on to win two games in the Bronze Medal match against no other than Durham Attack’s 13U White team “Avalanche”. Outstanding job girls! A huge thanks goes out to the organizers of tournament and to all parents for providing a delicious lunch. Additional thanks are extended to the coaches for their enthusiasm and dedication. Your commitment and skill in coaching is evident in the quality volleyball we’re seeing the girls play and in their sheer enjoyment on and off the court!